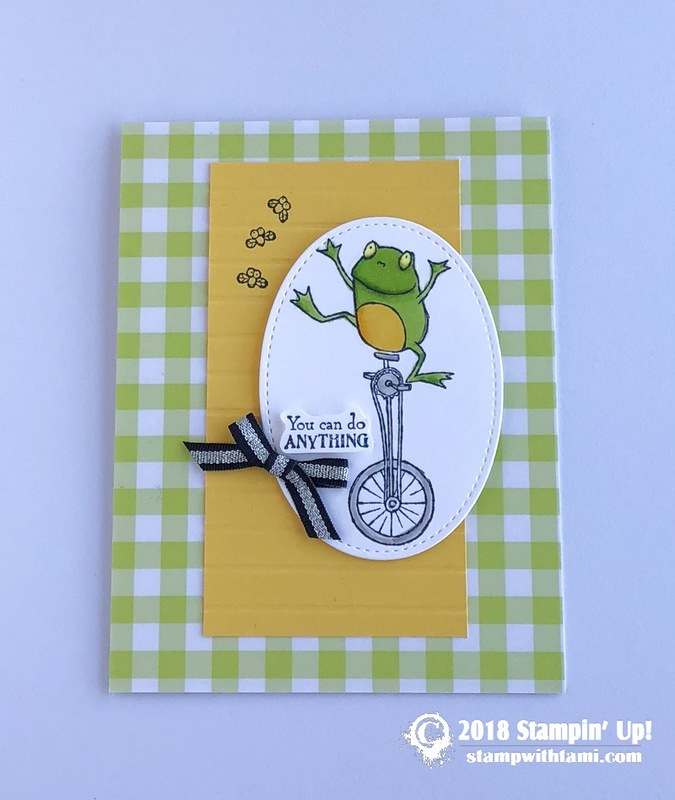 Super fun and super cute “You can do anything” card from the new Stampin’ Up So Hoppy Together Stamp Set that is available free during Sale-a-bration. The frog image is colored with the Stampin’ Blends markers. The background paper is Gingham Gala DSP. Black and Silver Striped Metallic Ribbon.